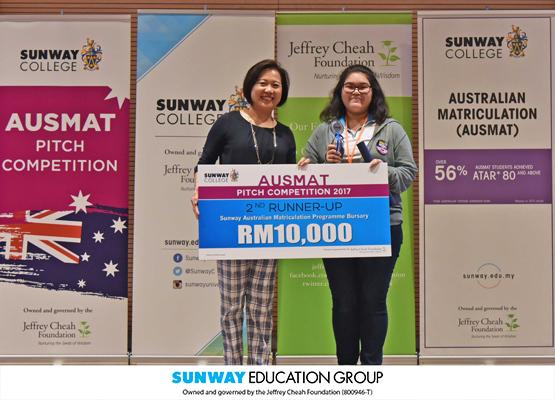 Coming in 2nd Runner-up was Judith Elise Gomes from Rightbridge Academy, who won herself RM10,000 bursary to study the AUSMAT programme. Her topic was “Feminism: The Fight for Equality”. Asides from the bursary, all three winners also received a certificate of commendation and individual trophies. In this year’s competition, Alexandria Goh Hui Yi from Nobel International School, Marcus Chai Zhen Yang from Cambridge Asia Learning Academy and Jolene Tan Hui Ling from Sri Emas International School received the consolation prize, taking home a bursary of RM8,000 each. Three of them also walked away with individual trophies and a certificate of commendation. The competition had 18 participants from various international and private schools taking part, where each participant was given 2 minutes to pitch their topic in the first round. 6 finalists were then selected to compete in the final round, where they were given 4 minutes to further elaborate on the topic delivered in the first round. 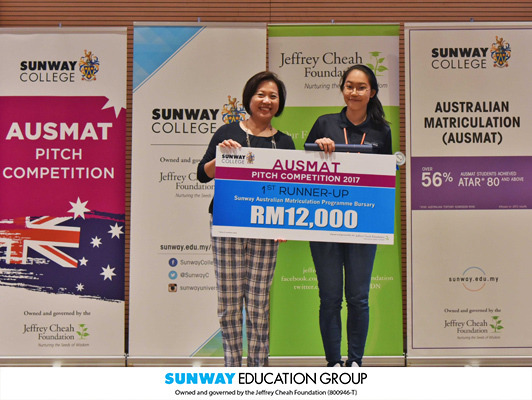 Judges for the first round of the competition were Mahejah Maria Angamuthu, senior lecturer; Nur Jalilah Abdul Aziz and Mark Saw, lecturer of AUSMAT programme. 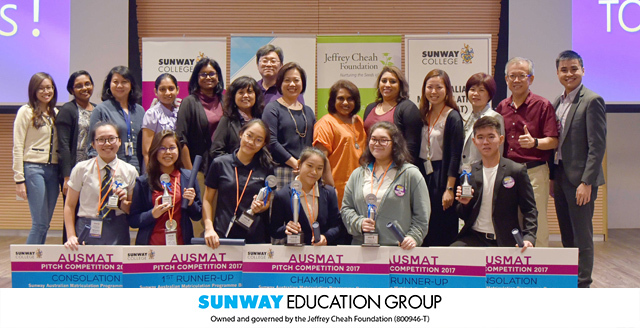 For the final round, the panel of judges consisted of Cheng Mien Wee, Director of Pre-Universities Studies; Vanitha S., Director of AUSMAT programme and A. Alagarani, lecturer of VU Undergraduate programme, Sunway College. 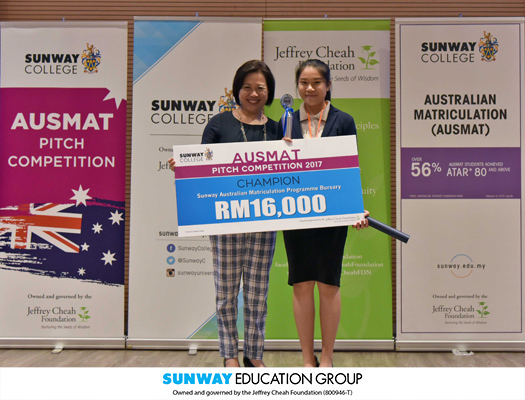 Also present at the competition were Wong Lei Lei, Director of Marketing and Oliver Kee Swee Keat, senior lecturer of AUSMAT who was the Chief Judge of the competition.